County Kerry in Ireland, a beautiful region in the South known for its cattle breeding, is known to many trademark practitioners from the early CJEU trademark judgment in GERRI vs. KERRY SPRING (C-100/02, Gerolsteiner Brunnen). It has just become the protagonist of another CJEU judgment: In a case heard before the Audiencia Provincial in Alicante, Spain, the Spanish EUTM Court had to decide on the infringement action brought by Ornua Co-operative (formerly the Irish Dairy Board), owner of the dairy mark KERRYGOLD, against the Spanish distributor of Kerry Group’s – KERRYMAID margarine, for use of that mark in Spain. 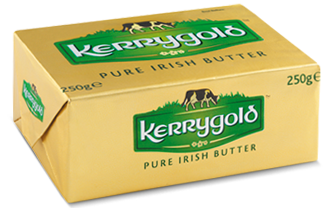 The defendant convinced the Spanish court that in the UK and Ireland, Kerry was so widely known that the emphasis would be on “GOLD” and “MAID”, respectively, so that there was no likelihood of confusion. As the EUTM was a unitary right, this meant that there could not be confusion anywhere in the EU. The Spanish court stayed the case and referred the matter to the CJEU, who handed down its judgment on 20 July 2017. Not surprisingly with a view to its earlier judgments in DHL vs. CHRONOPOST (C-235/09) and in Combit Software4 vs. Commit Business (C-223/25, see here previous blog post), the CJEU confirmed that a mark that peacefully coexists with a registered EUTM in one part of the EU (here: UK and Ireland) can still give infringe that same EUTM elsewhere (C-93/16). The principle of the unitary right does not prevent such a finding. Also, the mere fact that the marks coexist in part of the EU does not provide due cause for using the later mark in the rest of the EU. With respect to the fair descriptive use exception invoked by the defendant, this of course only applies if the use is in accordance with honest practices in trade. In this respect, the court hearing the infringement action relating to one EU country (here: Spain) can take circumstances in another (here: UK and Ireland) into account provided “that the market conditions and the sociocultural circumstances are not significantly different” (para. 47). Moreover, the “affinity” of the consumers with the geographical term may differ greatly from one country to another, and this will have an impact on the threshold for the defendant’s behavior being unfair. This case illustrates once again that the principle of the EUTM being a unitary right resembles a Swiss cheese – in that it is characterized by its holes. Courts will have to strike a balance between doing justice to different market conditions and branding customs, without, however, dissecting too much the EU market and always going for a market-by-market analysis. Presumably the onus for proving different market conditions is on the defendant. It will be interesting to see how the Spanish Court will see the market conditions and “sociocultural circumstances” in Spain as compared to the British Isles. The recent increase in butter demand across Western Europe (Bloomberg – Europe`s butter mountain has melted away) is unlikely to have a major impact on this assessment, as it is not necessarily tied in with the use of the marks at issue. More generally speaking, the EUTM is and remains a unitary right, making life much easier for trademark owners wishing to trade anywhere in the EU – but trademark owners need to be aware of the exceptions. Local differences in consumer understanding and market practices can make EUTM enforcement a patchwork exercise.